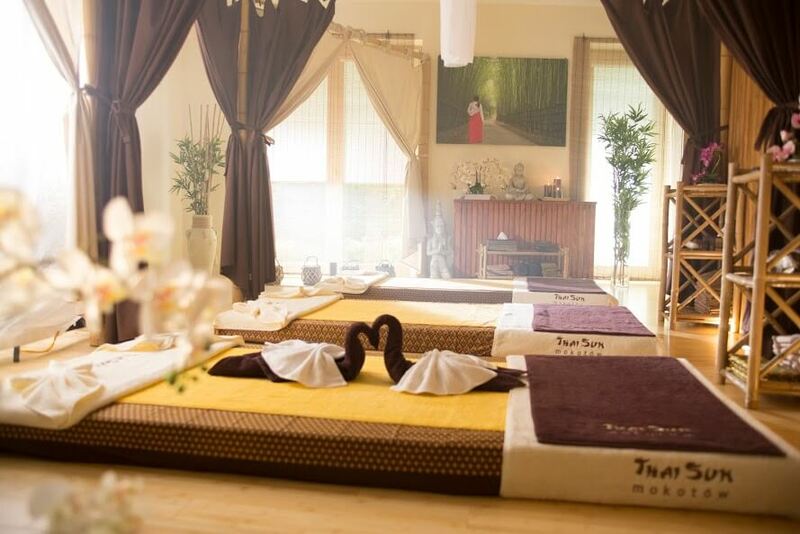 ThaiSun Thai massage salon network is expanding! From May 2017, we invite all our clients, especially those from Wilanów, Mokotów or Ursynów to the salon at Aleja Wilanowska 111a. The location guarantees comfortable and fast access and free parking for customers. The salon is located on the ground floor in a very intimate neighborhood thanks to which it is friendly for the disabled. 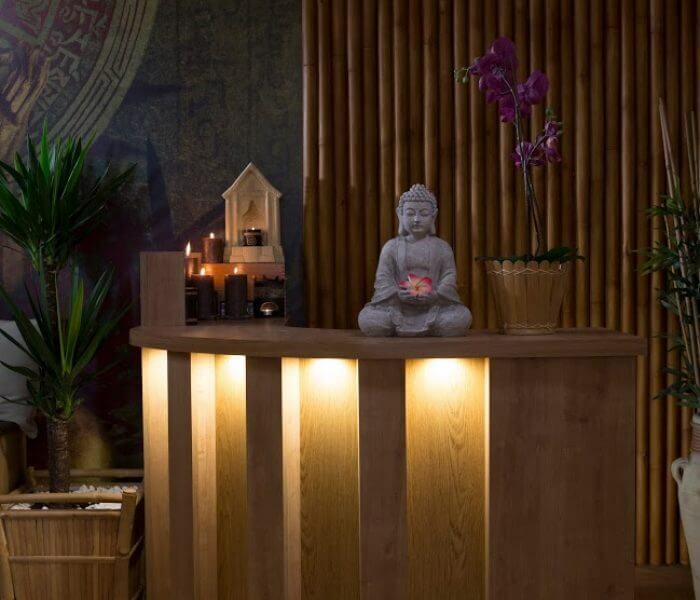 The unique design and atmosphere of the interior from the threshold will soothe your senses, and our professional Thai staff will introduce you to a state of blissful relaxation. 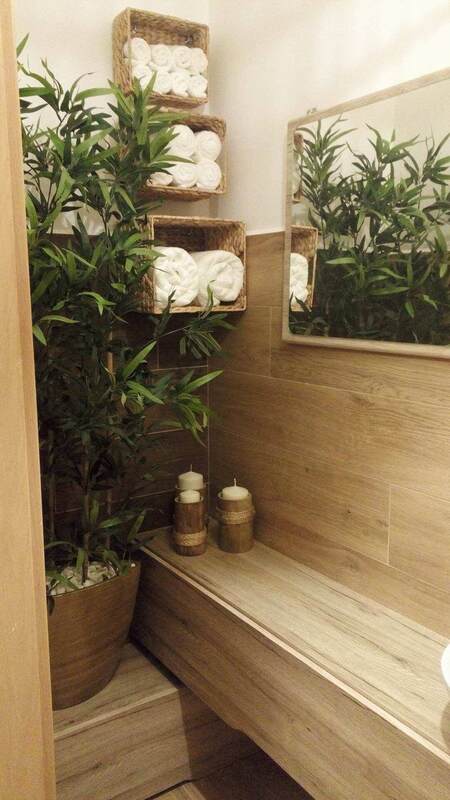 Two fully equipped bathrooms await our clients. 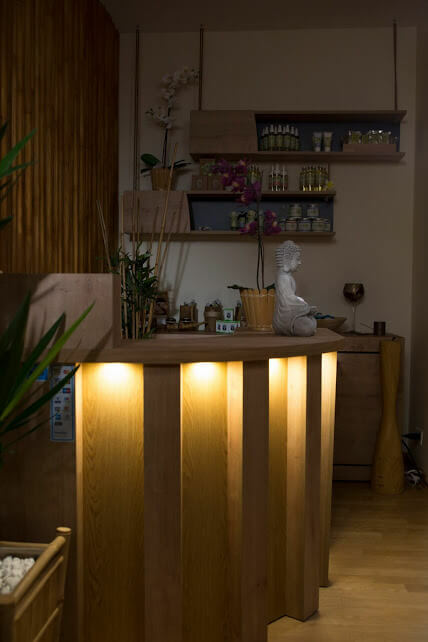 One of them, unlike the other salons, is a wellness area equipped with a bathtub - stay up to date with our facebook, where we will soon present a special offer of spa treatments. You can make an appointment outside of regular opening hours of our saloon. 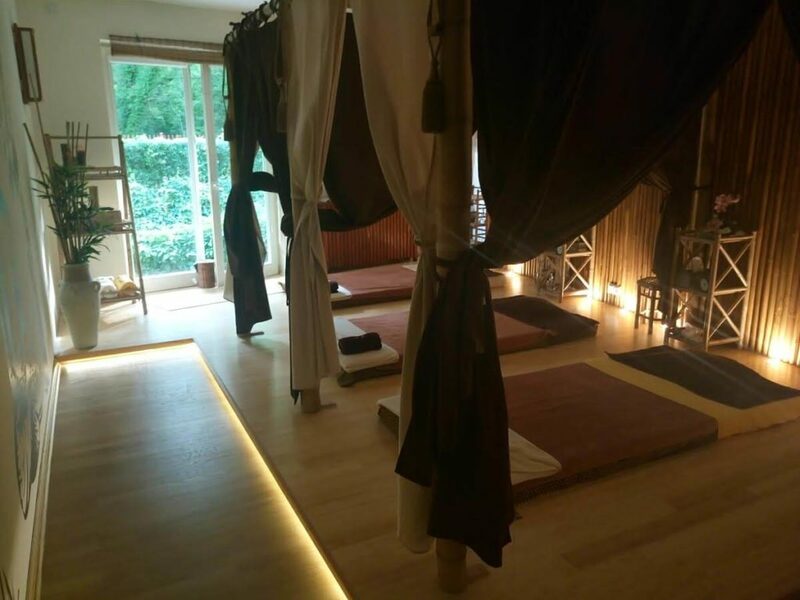 -Classic Thai massage 60 min.Classic Thai massage 90 min.Classic Thai massage 120 min.Oil massage 60 min.Oil massage 90 min.Oil massage 120 min.Sport massage 60 min.Sport massage 90 min.Sport massage 120 min.Back, shoulder and head massage 30 min.Back, shoulder and head massage 60 min.Back, shoulder and head massage 90 min.Feet and legs massage 30 min.Feet and legs massage 60 min.Feet and legs massage 90 min.Massage with herbal stamps 90 min.Massage with herbal stamps 120 min.Massage with herbal stamps 150 min.Hot coconut oil massage 60 min.Hot coconut oil massage 90 min.Hot coconut oil massage 120 min.Couples massage - thai 60 min.Couples massage - thai 90 min.Couples massage - thai 120 min.Couples massage - oil 60 min.Couples massage - oil 90 min.Couples massage - oil 120 min.Candle massage 60 min.Candle massage 90 min.Candle massage 120 min.Hot stone massage 60 min.Hot stone massage 90 min.Hot stone massage 120 min.Royal massage ThaiSun 90 min.Royal massage ThaiSun 120 min.Royal massage ThaiSun 150 min.Slim massage 60 min.Slim massage 90 min.Massage for children 60 min.Massage for children 90 min.Massage for children 120 min.After pregnancy massage 90 min.After pregnancy massage 120 min.Massage for seniors 60 min.Massage for seniors 90 min.Massage for seniors 120 min.Thai body treatment 60 min.Thai facial treatment 60 min. 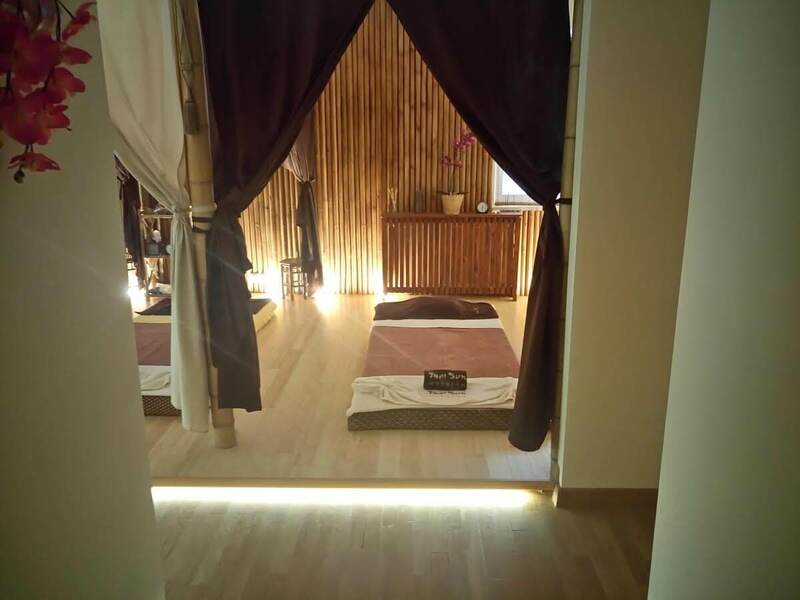 HOW TO GET TO THE MASSAGE SALON IN MOKOTÓW? If you are driving from the south of Warsaw, for example Ursynów, it is easiest to hit us by going down the Dolina Służewiecka to the right, into Aleja Wilanowska. After turning right and after about 100m you will reach next lights and pedestrian crossings. Turn right again on them, then straight into the right-hand street and you are on the spot. On the wall of the building, there is clearly visible number 111a, the block has a yellow color. There is a car parking on the left, where you can leave your car without worries. Driving from Wilanów, the access is just as easy. From Aleja Rzeczpospolitej, turn left onto Aleja Wilanowska and at the intersection with Karczocha street, turn left again and then straight into the right-hand alley. The intersection with Karczocha street is the last light before the Dolina Służewiecka. People who are coming to us from the side of the Siekierkowska Route are asked to turn left from Aleja Sikorskiego (which turns into Dolinka Służewiecka) into Aleja Wilanowska. We travel about 100m to the first traffic lights, turn right on them, right after that. At the entrance to the estate, on the intercom, please press number 3. The reception will open the gate and then repeat the action at the entrance door to the building. When you get inside, go a few steps ahead as you lead the corridor, then right past the elevator.